I am new to the forum and naturally gravitated to the almost over the crowd as I will be 51 in July. Coincidently, I am planning a 4-5 day trip on the Superior Hiking Trail with my 17 year old son for that month. Just wanted to let you guys and gals know that I appreciate the collective wisdom that is out there on backpacking and camping. Although I have spent a lot of time in the outdoors fishing, hunting, motorcycling etc. this will be my first extended backpacking trip. I won't ask for any specific suggestions on this thread, but will continue to read your posts as I prepare for July. ps- there is a little state park near my house that I frequent often, and if I gotta lay down somewhere when my time has come it would be as good a place as any. Cheers. Welcome. My mom is from MN. She came out to CA after High School, she got tired of the cold and helping take care of the siblings as she was the oldest. Enjoy your trip. 51 - a mere stripling! Welcome. Sounds like a good trip with your son. If you enjoy that trail, head on out into the lake and spend 4 or 5 days on Isle Royale. That's probably the most magnificent place I've ever been; I can hardly wait to visit for a third time. What gear are you planning on using? The backyard or that park if it is real close is a good place to try out gear if it doesn't work bail, get in the car and come home. Ultralite is nice but and a big but is is costly and how much comfort do you want to give. Check out freezer bag cooking, using items from the grocery store. Test your sleeping gear are you comfortable? a multi-day trip should not be a test of sleep depredation. Good luck. Thanks for the welcome. hikerduane I don't blame your mom for seeking warmer temps--it can get pretty cold up this way. Glenn, I don't know if I will make it to the Isle this year, but I have been told it is a truly remarkable place. Bobc, your advice is great. We are planning a test weekend of all the equipment at Afton State Park in early May. It is a beautiful little hikers park on the St. Croix River and is only miles from my house. I have done quite a bit of day hiking there, but I want to get an idea of how carrying full packs with all the gear will work. Thus far my gear list is a hodge podge of a lot of items we already have at home. I have a fairly lightweight two man tent and sleeping bags. I will need sleeping pads so any advice on good ones will be appreciated. The biggest expenditures for us will be the packs as I only have two small Kelty day packs now. 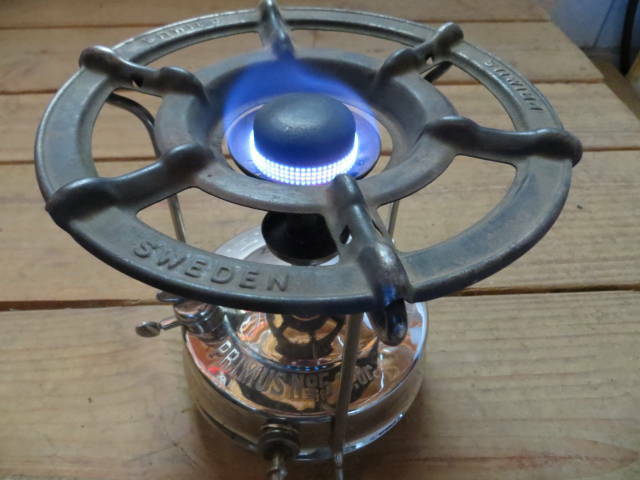 the other major cost for us will be if I decide to invest in a stove, or if I am going to risk using a small alcohol stove I made. Any advice anyone? In July, an alcohol stove will probably work fine. However, if pack weight is an issue, you might find that a small canister stove will save some weight. Whether it will or not depends on how much fuel you'll be using: if you're only boiling a couple cups of water for supper, the canister might be lighter. However, if you're cooking 3 hot meals a day, and planning on cocoa in the evening, and a hot wash-up each night, to the point that you'll need two or three canisters, the alcohol stove and fuel will probably be lighter. I've used both; in the summer, it really doesn't seem to matter a whole lot which you use. For pads, you have two choices: closed cell foam or inflatable. The easy, safe default is Thermarest: the Ridgerest (closed cell) or any of the self-inflating models. (You could also use an REI-brand Thermarest clone and save some money.) The Prolite Plus series is really nice and pretty light, but pricey; they have some other "trail" models that are less expensive, but heavier. For summer, a three-quarters length pad (48 inches) is usually long enough; put your empty pack or some clothes under your lower legs and feet. I may see you on the trail! I am just a year younger than you, live in MN and will be doing a few trips to the SHT this summer also. I did a couple of sections last year and had a great time. Do you know what sections you plan to do? Like many have said, getting my pack weight down had allowed me to start backpacking again. I also thought my trail days were over. I remember carrying a 70 lb pack when I was a kid. That would kill me now. My base weight is down to 13 pounds!! Trip reports--we love 'em! To the best of my knowledge (mods, please scream if I'm wrong! ), no problem with links unless you are trying to sell something. I link to my trip reports too, because I post them on a local hiking forum and don't want to go through the agony of posting photos (different on every forum) more than once. 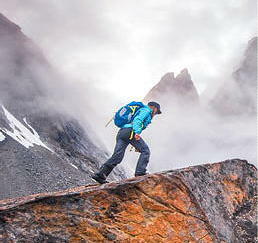 If you haven't already found them, there are lots of excellent articles for beginners and on gear selection listed in the left-hand column of http://www.backpacking.net/, the home page of this site. There are lots of ways to lighten your load without spending a fortune! Another good site for gear selection is Mark Verber's website. You'll find, in addition to the latest technology, low-budget alternatives and links to low-budget gear lists. Good to hear from you I haven't pinpointed what part of the trail yet. I first thought about beginning in Two Harbors and heading north as far as I think I can travel, but I've spoken to a few people who have said around the area around Grand Marais is some of the best scenery. I'm wide open. I'm open to suggestions so anything you have on the trail would be great. Thanks. The SHT is a great trail and should be a fantastic experience with your son. I would recommend limiting the miles each day, explore the shorter 'spur' trails that lead to really great views, and enjoy the trip!! I used the Superior Hiking Shuttle for transportation. I parked my truck at my exit point and took the shuttle to my starting point.